Often you have seen actress wearing a bikini in movies. Some actress's bikini look became so viral that she became known as a Bikini Girl, while some actresses were trolled in Bikini. So let us tell you about 10 Bollywood actresses who look absolutely bogus in Bikini. Actress Alia Bhatt's first name in this episode would like to be taken. Everyone is crazy about the beauty of Aliya and she looks beautiful in all the dresses she wore. But when it comes to Bikini, it doesn’t go well with her personality. Altogether, Alia does not look good in a Bikini. Katrina Kaif is Bollywood's top actress and she has many fans who admire her dance and good looks. Even girls do not lag behind in copying their fashion trends. Katrina appears in a new look in every film. But Bikini does not get her as much TRP as her hits in an ordinary dress in films. Sonam Kapoor is married to his boyfriend Anand Ahuja, and on June 1 her film 'Veere the Wedding' has been released, which is liked by many people. Talk about Sonam Kapoor's Bikini Scene, she herself revealed that she does not like the bikini much. So Sonam does not like to wear a bikini on screen anytime. Actress Kajol has been a hit since the 90's. During this, she has been seen in very simple roles in films. Kajol has been seen giving bikini scenes in very few movies. In a scene of the super hit film 'Bajigar', she was seen in Bikini. But Kajol does not like to do bikini scenes much because she does not feel good in seeing herself in a bikini. Isha Deol's film career is a super flop. 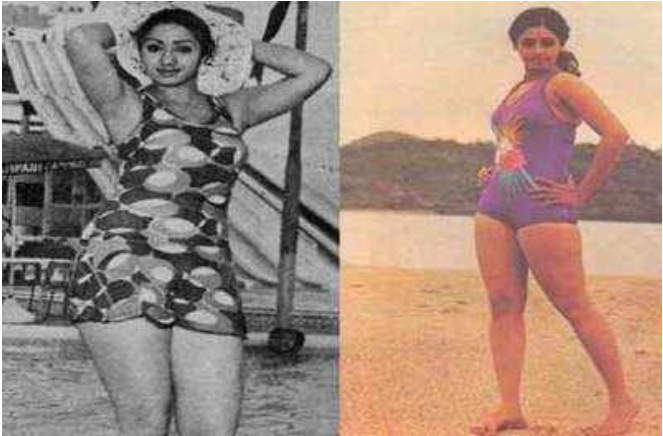 She was seen in only one super hit film 'Dhoom', where she was first seen in a bikini. But the Isha's Bikini Scene did not get the TRP as it was looking horrible on her. After her marriage, she is not doing any films. Actress Richa Chadda is known for her bold style in films with the character of 'Bholi Punjaban' from the film 'Fukrey'. But when it comes to Bikini it does not look too special on her. This episode includes the name of Bollywood's 'Chandni' Sridevi. In the 80's, Sridevi was seen in the Bikini scene, but besides being so beautiful the bikini look of her doesn’t get much attention. Everyone is aware of the 'Most Controversial Queen' Rakhi Sawant's dressing sense. She often remains in the discussion about her Style statement and dressing style. Even if she does item numbers in Bollywood and look very hot in doing peppy songs, but she does not look too amusing in a Bikini. In the end, we will talk about the actress Tanu Shree Dutta who has made her debut in the movie, 'Aashiq Banaya Apne', with the hot and bold style she had won many young hearts. But despite all this, Tanushree Datta was not liked by the audience in the Bikini scenes.